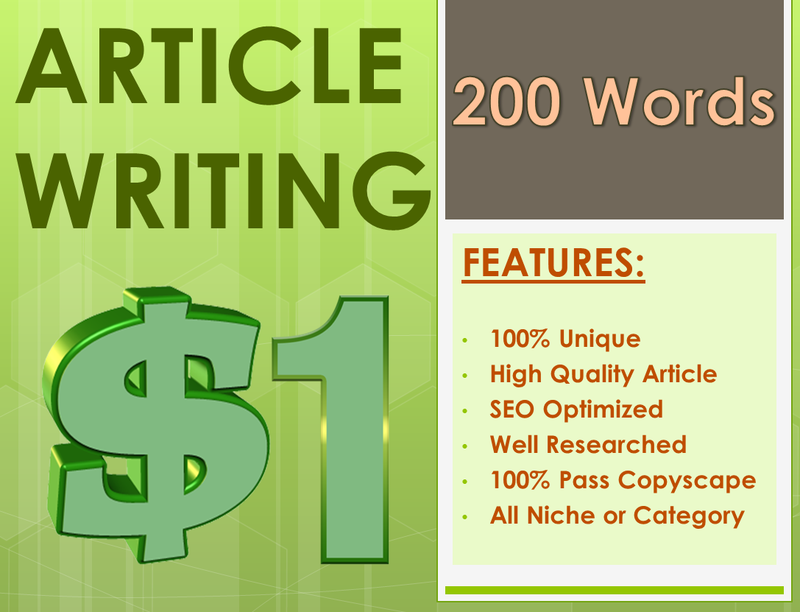 We provide article writing services for online store, your blog or for the program paid review cheap price only $1, article for 200 words. We are a service of article writers since 2013, and pioneers in writing services before there are many other article writer services to open his services. 200 Words Article Writing - Best Seller is ranked 5 out of 5. Based on 57 user reviews.